Santa Monica is a beachfront paradise, with beautiful waves just beckoning you to the surf. Just west of LA, this incredible community has endless activities waiting for you. Take a stroll down the Third Street Promenade and check out all the hip shops and restaurants, or maybe take a quick bike ride at Palisades park and take in all of the natural splendor that California has to offer. 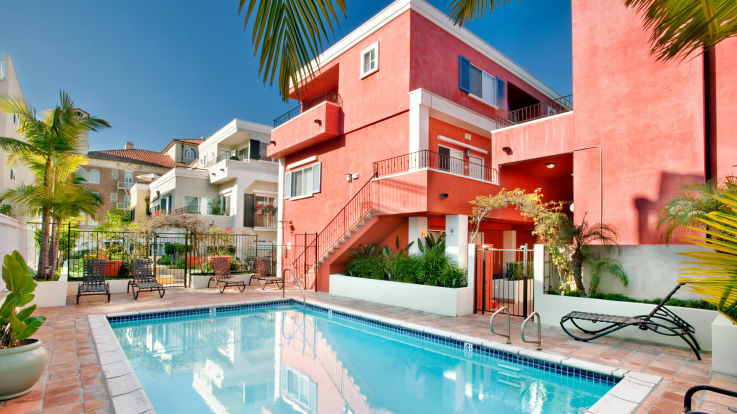 We offer a number of serviced apartments in our LA Santa Monica homes. We provide a system to submit service request and team that will address them quickly and effectively. In addition to services, our apartments have some unique amenities that you simply won’t believe. Our location amenities include an in-building retailers, a state-of-the-art fitness center, and incredible private balconies. Come check out our wonderful serviced apartments in Santa Monica and then let us know when you’re ready to take your next steps to your perfect apartment.